I am so shocked by the results of my summertime knit-along poll. In the first 24 hours we received 140 responses and the tally was even. TOTALLY EVEN! 70 of you voted for The Shift and 70 voted for Guildenstern. Amazing! I know I love both of these patterns and I'm so thrilled that YOU love them, too. It made me start thinking -- should we knit them both? Should we KAL both of these projects? I ran the idea past Meaghan. Do you know Meaghan of The Unapologetic Knitter? She's my lead designer here at Ewe Ewe and has designed some spectacular pieces like the Wander Which Way and the Sporty Stripe Cardi. Anywho -- Meaghan said "Let's host them both and let's host them together!" Meaghan and Heather ready to KAL! So here we go! We're going to knit both of these adorable projects at the same time. Heather will host The Shift cowl and Meaghan will host the Guildenstern shirt. We'll knit them at the same time over the course of the next few weeks. Choose one or the other and let's have good time! 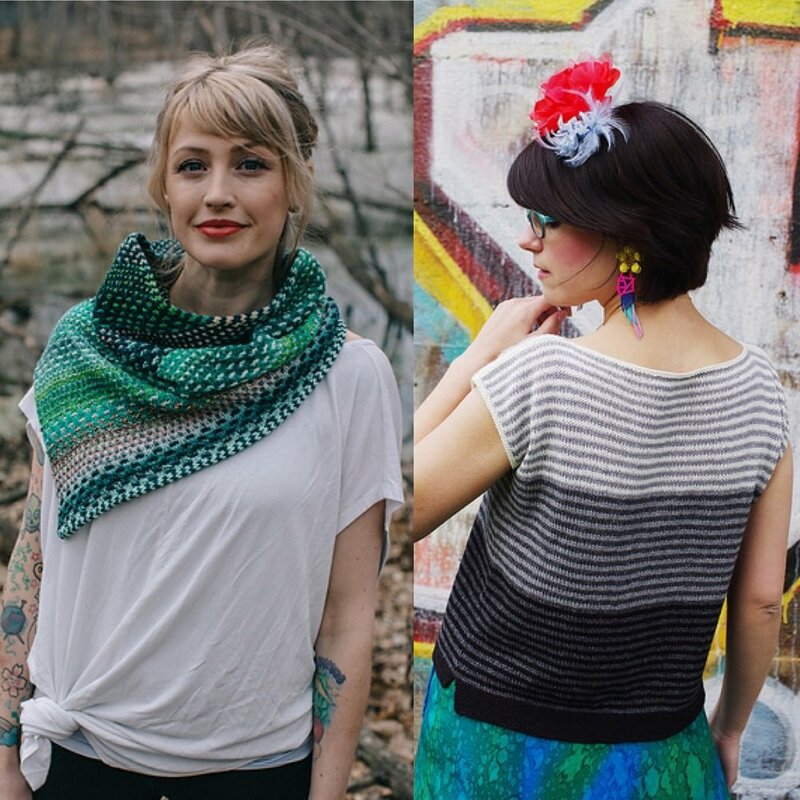 Announcing: Double the Fun KAL! The Shift is a sport-weight cowl with an asymmetrical triangle edge. This is an accessible project for knitters of all skill levels. It's a little smaller and lighter for summer knitting and we'll be ready for cooler weather when it comes back. The color changing will be fun and we've put together some fun color combination ideas. Techniques: We'll go over mosaic knitting, increasing, decreasing, and lots of other tips. Yarn: Ewe Ewe Yarns, Ewe So Sporty merino yarn, 145 yards. 2 balls of 3 colors needed. 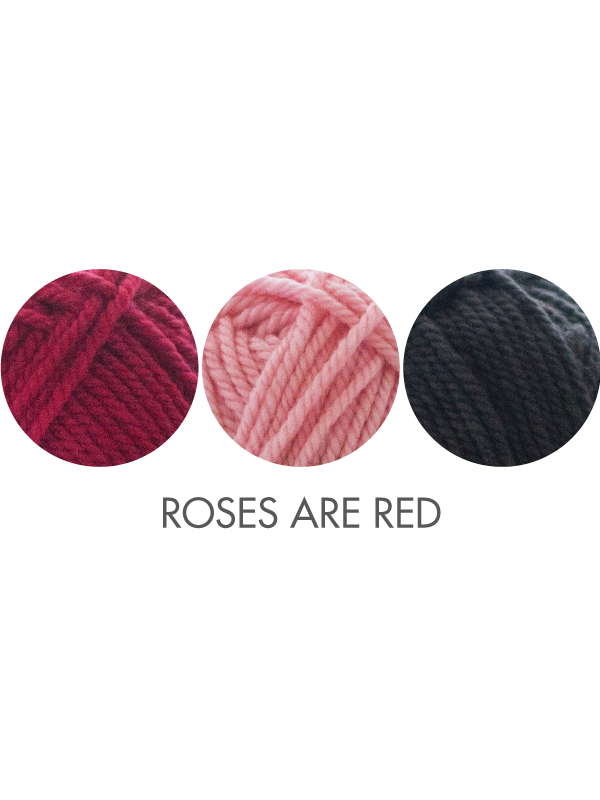 Find a local yarn store to get your yarn. 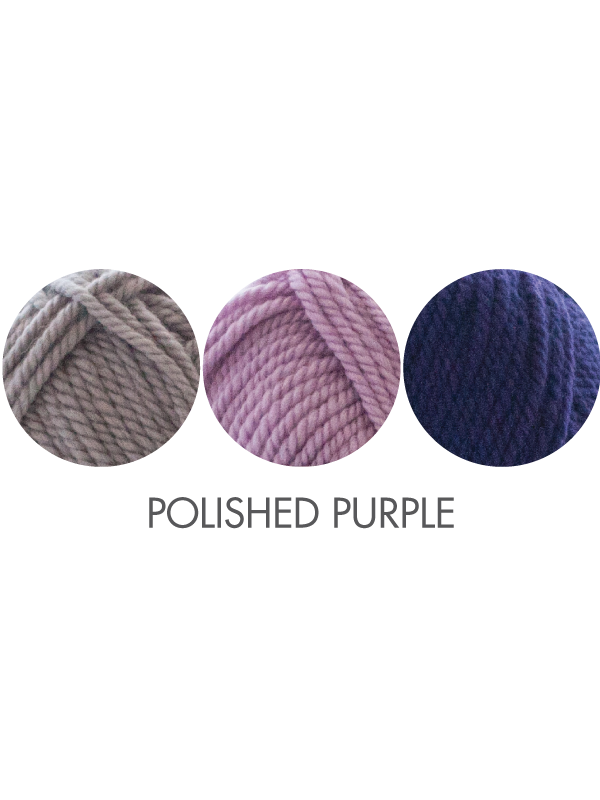 If you don't have a store nearby, check out color kits here or choose your own color combo on the yarn page. Tuesday, July 17: Kickoff + Cast On! Start with the setup and work Section One. Tuesday, July 24: Sections 2, 3, 4. Tuesday, July 31: Sections 5, 6, 7. Tuesday, August 7: Binding off and blocking. Tuesday, August 14: Seaming and styling! Guildenstern is a sweet striped top with an ombre color effect and split hem. The original pattern is knit flat but Meaghan will show you how to modify the design to knit this project in the round! 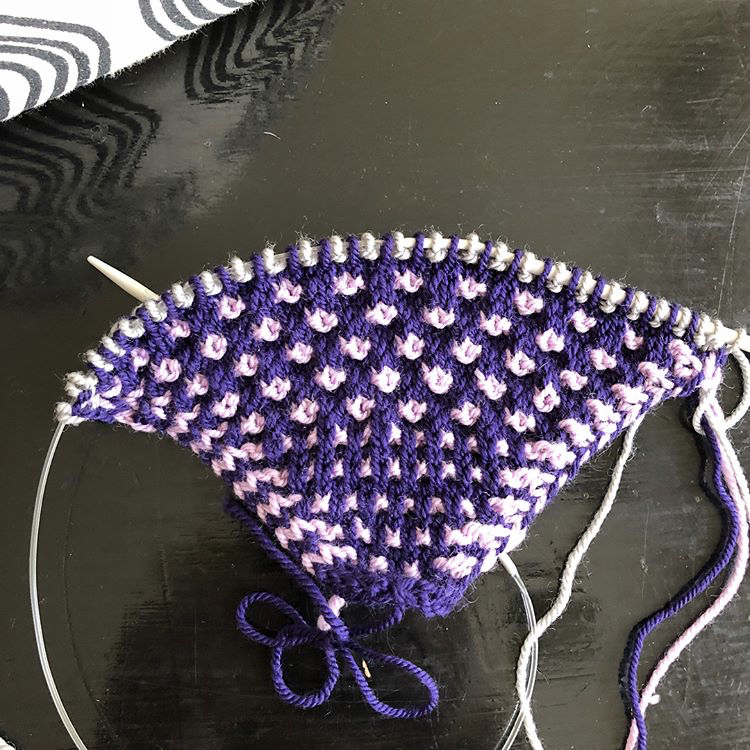 Knitting a project like this in the round means it will go faster and we won't need to seam the sides. Techniques: Knitting in the round, jog-less stripes, increasing, checking gauge in the round, and more. Sizes: Finished size (at full bust): 30 (34, 38, 42, 46, 50, 54) inches. To wear with 1-4” positive ease at full bust. Shown in 38" finished size, on 36" full bust. 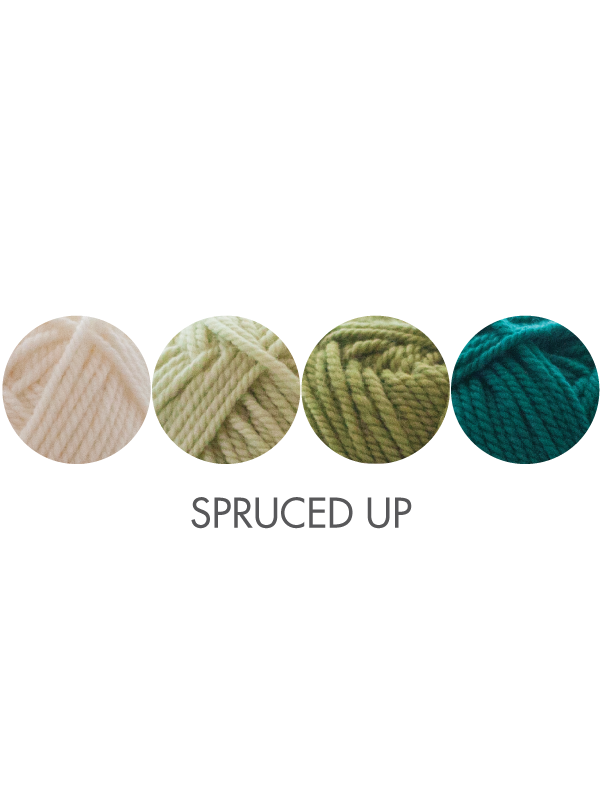 Yarn: Ewe Ewe Yarns, Ewe So Sporty, 100% merino, 145 yards. Supplies: Tapestry needle, one stitch marker, 4 locking stitch markers. Gauge: 24 stitches and 32 rows / 4 inches (10 cm) in stockinette on larger needles, after blocking. Thursday, July 19: Gauge swatch and cast on! Work the hems separately. Thursday, July 26: Joining in the round, placing markers, slipping stitches, Body Stripe section 1. Thursday, August 2: Body Stripes sections 2 and 3. Thursday, August 9: Neckline front and back. Shoulders. Thursday, August 15: Sleeve edging and blocking. 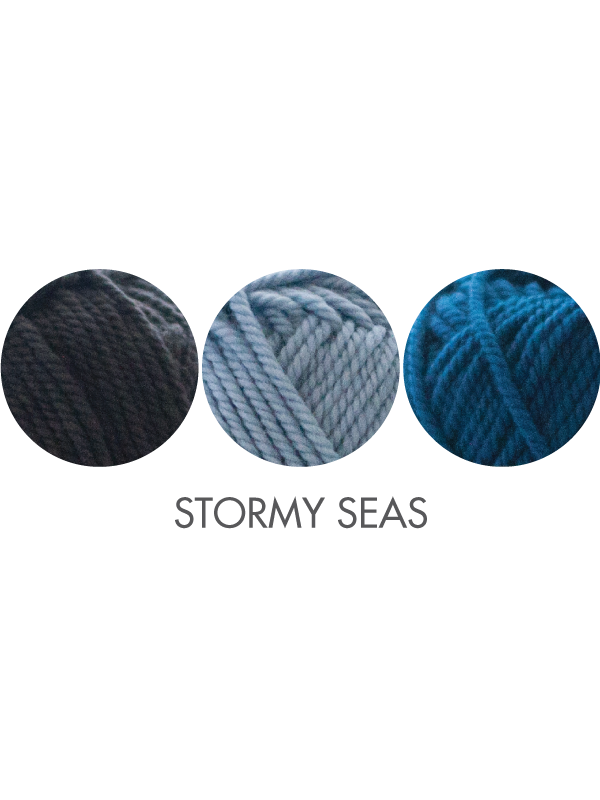 Now's the time to choose your colors and get your yarn. Heather and Meaghan are here to answer any questions you might have about these projects and how a knit-along works. We hope you'll join us on this summertime knitting adventure! We'll check in online on Instagram with the hashtags #DoubleTheFunKAL and #EweEweKAL. Follow @eweeweyarns and @notsorryknitter on Instagram now! Plus you can join my Ewe Ewe Yarns Ravelry group if you like that type of thing. Whichever!